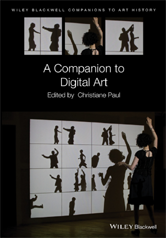 Reflecting the dynamic creativity of its subject, this definitive guide spans the evolution, aesthetics, and practice of today's digital art, combining fresh, emerging perspectives with the nuanced insights of leading theorists. Contemporary Art and New Media: Digital Divide or Hybrid Discourse? The Digital Arts In and Out of the Institution—Where to Now?